Natasha was having some issue with her locs. One was seriously thinning and was hanging on by a few strands of hair and two others needed some attention as well. 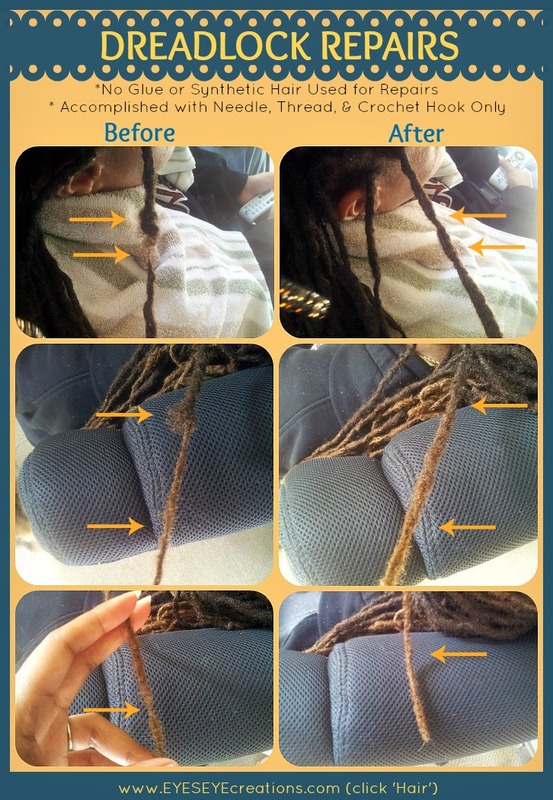 There are different ways to "fix" locs and some involve using synthetic hair and hair glue to strengthen weak spots in the lock. I don't like using anything synthetic or unnatural in my clients' hair so I only used needle, thread, and a very tiny crochet hook to "fix" her locks - you can see the results above. When using thread to repair locks I use thread that is the same color as the clients' hair and eventually the thread will unravel and lock into the client's hair thus nearly disappearing. This method causes no damage to the lock and does not add excess weight to the hair shafts (as does adding synthetic hair and hair glue). When excessive weight is added to a lock over time it will cause more thinning and the client will either have to get the lock repaired multiple time or they will end up loosing the lock all together. In my opinion, using needle and thread to repair locks is the safest way. If you are in the Southwest Houston area and are in interested in having your locks repaired and/or maintained by Zaaynab Le'Von please click HERE to set an appointment. Lock repairs start at $10. Prices vary depending on the severity of lock damages, hair texture/type, etc. 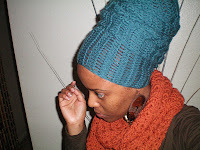 For more information on hair styling by Zaaynab Le'Von click HERE. daylight, for thhe reason that i love to learn more and more.